Goodwood - Review: Is the ultimate 'real world' Focus still a cracker? ‘Driver aids’ are immensely popular these days, in modern motor sport as in road cars. And in its class, the Ford Focus has always had one of the best. 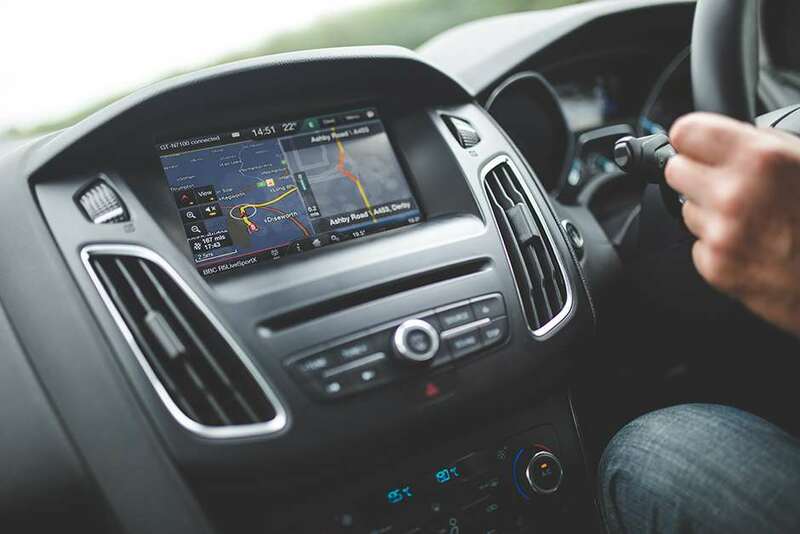 I am not talking here of electronic gadgetry – you know, things like lane-keeping assistance, blind spot warnings and automatic main beam, all of which, plus a great deal more besides, was fitted to a recent Focus test car. Most of these features tend to be useful for people who can’t drive properly and an annoying distraction for those who can. No, the Focus’s headline driver aid over the past two decades has been something refreshingly real. Its suspension. 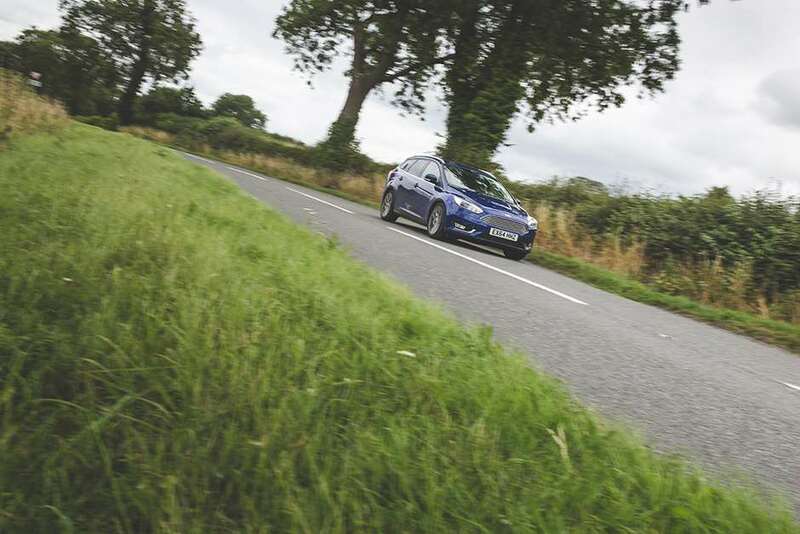 From day one the Focus’s investment in its (very expensive) underpinnings has always endowed the mainstream hatch with class-leading (read: Golf-beating) driveability. The ability to stop, steer and go round corners well is surely the greatest driver aid of all. Has the car still got its advantage? That was the question that came to mind as GRR smoked around the country in a top of the range Focus recently – not the new RS alas (and we are really looking forward to that) but more one for the everyday world, a top-spec diesel automatic estate. Almost £30,000 worth with some options aboard. A car like that should be able to take the pain out of 1,000 or so miles for an assortment of pre-Revival interviews as far afield as Donington, Essex, Kent and London. Most would be motorway miles and thus boring, but a good car is a good car anywhere and there would be opportunity enough to take the back roads and see if this latest Focus (a facelifted version of the third-gen car no less; how time flies) still has the ability to please. To our conclusions then. It’s not particularly fast on its 150bhp (0-62 in 9secs) but it is plenty gutsy thanks to a satisfying 273 foot-pounds at just 2000rpm. Ultimately that’s much more telling in a car like this. I don’t think we were ever overtaken but overall it still averaged 45mpg, which is impressive if par for the diesel course these days. The six-speed Powershift auto is okay, ish. Another ratio and a paddleshift wouldn’t go amiss, the tiny +/- gear button on the side of the selector not being any fun to use. It’s not a sporty feeling car on the twisty bits but it is always competent and does nothing wrong. It points well enough, certainly more eagerly than some rivals, despite no obvious mechanical feel in the steering. It’s still a poised steer on a demanding cross-country route, never getting ruffled or losing its ride composure, which is always consistent, and generally comfortable. No sick-making motion here despite the biggish estate body. Seats? No aches at all. Ergonomics? Pretty good. Room? Nothing special in the cabin but note the estate’s boot is much bigger than the Focus hatch’s, which is a plus considering the car still manages to look pretty racy – well, at least not boxy like some estate rivals. What didn’t impress us? To be frank, we weren’t bowled over by much of a premium feel, one I think we had a right to expect in a £30k car. All the boxes on the equipment list might have been ticked but showroomy features (like rows of colour-changing LEDs inside the door bins…what’s all that about?) and endless driver aids by themselves don’t equal premium. It’s a bit on the noisy side for starters, and especially rowdy on coarse road surfaces. You can’t help but notice either the clankiness of the doors, with their Heath Robinson pop-out edge protectors, or cheap sounding tailgate. The car deserves better. Other than that, GRR is pleased to report that the Focus still has it. Its advantage is less clear-cut than it used to be – the march of technology and the advance of rivals has seen to that – but for drivers it’s still an enjoyable machine. 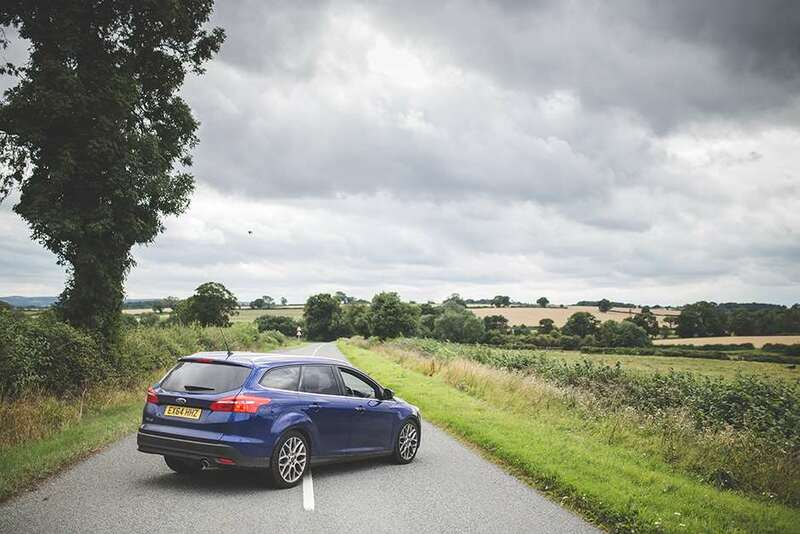 In the acid test of choosing between equivalent Focus and Golf for a cross-country drive, we’d take the Ford.